Taryn was taken slightly aback when Ashley and Mavena agreed to become roommates, but after a moment of consideration, she supposed it would still be alright. She and Ashley could still be friends, even if they weren't in the same room. That did mean, however, that she'd have to find a roommate herself, and preferably someone who she could easily get along with. Her gaze traveled across the room and fell on one of the other girls, smaller and with long blonde hair. She looked nice. Maybe later Taryn would try to talk to her and see if she had a roommate yet. Ashley smiled and rolled her eyes. "Let's just say Shinoa and I got off on the wrong foot and leave it at that." She decided, glancing over at Tayrn. It didn't seem like she minded her rooming with Mavena. Thank goodness. She hoped to keep Tayrn as a friend. She'd never been to Banasura and wanted to learn as much about it as possible. Though her eyes kept flicking around to the other students - Ingrid in particular. She wondered if the Princess had read her letter of introduction yet. She turned her attention back to her new friends as Heru gave Shinoa the stink eye in agreement. He cawed something at the purple haired girl that made Ashley roll her eyes. "You do NOT want to know what Heru just called Shinoa just now. It's insulting in both falcon and people language. He's got a real sassy streak and potty beak when he wants to be." She told the girls, a small giggle escaping her as the bird continued to give Shinoa the stink eye but settled down again under Mavena's touch. Honestly? The insult was pretty funny in her opinion. I sat back down. The teacher seemed not to have heard but it wasn't that big of a deal anyway and I probably won't get picked with my luck. Cate seemed disappointed that she wouldn't be able to fight. "At least you won't get hurt" Tristan smiled at her. "If the teacher will let it come to that I don't think she would let us get all bloody. And I bet you'll get to fight soon anyways you do play one of the most important roles!" I put a hand on her shoulder hoping I had comforted her just slightly. Akeno placed her slip into the box and walked back over to her seat, which was diagonally behind (to the right) Ingrid. Miss Lili went on to explain how the participants would be decided, saying that only two students were to face off. Then, a pink haired girl asked whether supports were also eligible to fight. To which Miss Lili responded by saying that supports were exempt from the battle. The dark purple haired assassin leaned her elbows on the desk in front of her and covered her ears with her hands, trying to block out the sound coming from an over chatty group of girls that were making Akeno cringe, she could already tell that they were going to be a nuisance. She wished that the battle would soon start, so she wouldn't have to listen to any more of it. Zed frowned, Da.mmit, he clocked on. The green-eyed boy clenched his fist at Shinoa's next remark. “Aw, so I have to see a perv’s back in front of me everyday," she said mockingly. "Wonderful." Zed turned to face the girl, before yelling at her, "Hey, will you cut it out! You know as well as I do that it wasn't even my fault!" In the meanwhile, Miss Lili had finished collecting everyone's slip. "Looks like I have everyone's slip," said the teacher. She shook the box and then withdrew two slips, announcing the names, "Akeno Hayashida, and...Zed Arubok." "Wait, what?!" Zed exclaimed upon hearing his name called out. He slowly looked back at the other girl, who was set to be his opponent. She had an intimidatingly cold expression. Zed gulped, somewhat frightened, Crap, I have to fight her? "Also, as a special treat. I've managed to book the arena for this battle. Ordinarily, the arena is only used for rating games or during tournament matches. But luckily, I was able to convince the headmistress to give us access just this once. So I hope you'll enjoy it." she clapped, tilting her head to one side. "Now, let's get going." "Looks like I have everyone's slip" Miss Lili said and I looked up slightly hoping I'd get picked slightly not. She shook the box then pulled two slips out. "Akeno Hayashida..." The first name was called. "And Zed Arubok." She called out. I kept my pokerface and looked around trying to find the two who the names belonged too. "Also, as a special treat. I've managed to book the arena for this battle. Ordinarily, the arena is only used for rating games or during tournament matches. But luckily, I was able to convince the headmistress to give us access just this once. So I hope you'll enjoy it." she clapped, tilting her head to one side. "Now, let's get going." I got up. The frightened boy and fierce girl. For me the winner was clear to be the girl but I could never be sure. Relieved that he didn't have to fight any kid bigger than him, Tristan let out a sigh of relief. He knew there was going to be more fighting in the future, but the thought of doing it on the first day with kids who looked bloodthirsty made him nervous. He did, though, feel bad for the boy Zed. He looked scared, and Tristan knowing far too well what that felt like, wanted to cheer him on, even if he didn't know either of the kids. "Hey," he whispered to his new friends. "How about we boost that dudes' self esteem when the time comes? We can go watch him and cheer him on. Whaddya think?" I was a little taken a back when Tristan suggested cheering the Zed boy on, I didn't even know him! This Tristan, even though he seemed shy, was a very kind guy and I liked that about him. I thought about it for a moment thinking that we might humiliate ourselves. Who cares!? I encourage myself. And even if we do humiliate ourselves we're not doing it alone. "Sure!" I say to him. After all the slips had been collected, Miss Lili shook the box and withdrew two of them. "Akeno Hayashida, and...Zed Arubok" the dark purple haired teacher announced. Ingrid looked around to try and identify the two. She noticed the dark haired boy, who Shinoa had warned about earlier, look back nervously. So, his name is Zed, the princess thought. She then tilted her head to her right, spotting another purple haired girl, who was wearing beautifully designed traditional clothes. And she must be Akeno. Miss Lili then explained how the battle was to take place in the arena and instructed the class get up and follow her. "This'll be interesting," the sky blue haired girl muttered, standing up from her seat and tucking in her chair. Mavena laughed when Ashley mentioned Heru having a potty mouth, wondering what he could of possibly said since not long after she started laughing as well. Despite still being curious about what had happened with Shinoa, she decided to leave the topic alone. Just after her train of thought had finished, Miss Lili started talking. She announced the two who would be sparring; two people named Zed and Akeno. Personally, Mavena wouldn't of minded if she had been called out, but she didn't really want to spend the first day fighting in front of people she has just met. At that point, Ashley asked if her and Taryn would like to sit together. Heru moved away from her hand, and she gratefully took it away, exercising her wrist. Whilst she didn't mind petting the bird, it made her fingers ache doing it for a few minutes straight. "Sure," she said, answering Ashley's question. "I'd rather sit near my friends." It was just then Miss Lili drew out the lucky winners for the duel, causing Zed to miss her comment and exclaim at the chances of his name being called. Or was it unlucky? The scythe wielder didn't know, but she was somewhat interested in seeing how the black haired boy would fare against the other purple haired girl. In the meanwhile, Lucien heard all of the girl’s comments, getting more irritated with each new word that came out of her mouth. Just as the pastel purple haired finished her latest statement, he stood up and faced her, blocking her from passing. Shinoa looked up at Lucien, unfazed by his warning. She ducked around the boy and walked towards Miss Lili, ready to go. The blonde watched her go, his expression softening into his usual chill demeanor and the aura thinning into air. “She's got so much guts that I want to beat her soon.” He muttered. "That sounds great," Taryn said, standing up, glad she wasn't one the fighters on the first day. "I think I'm just gonna go talk to someone real quick, but you'll save me a seat? Right next to you guys." She smiled and let her gaze wander, looking for the shorter blonde girl. Spotting her, Taryn made her way over as the class prepared to depart for the arena. "Hey," she said, unsure whether to extend her hand for a shake. Finally she just settled for a small wave. "I'm Taryn." "I'm in!" Cate said, regarding cheering on the green eyed boy, Zed. Sounded like fun, considering everyone was going to vote for the female. She liked standing out. But as she began to stand up to leave, a darker skinned female walked up to her. "Hey," she said, looking unsure about something. Cate smiled at her, and the girl gave her a small wave. "I'm Taryn," she finished. Cate smiled at her and stuck her hand out. "Nice to meet you, Taryn!" She started. "I'm Cate! Cate Clowers!" We all agreed on cheering on the boy when a dark toned muscular girl approached Cate. They introduced each other and I thought I'd just be intruding and so I grabbed Tristan's wrist and pulled him along. "We'll save you a good spot!" I call out to her. Shinoa who was now standing by Miss Lili saw bird girl walk up to the teacher and ask where the exhibition match was. While Miss Lili was leading the class to the arena, Ashley asked a question. "Excuse me, Miss Lili? Where exactly are we going to have the exhibition match?" she queried. But before the short teacher could answer, Shinoa had already beat her to it. "Didn't you hear or was that loudmouth there squawking too much? It's going to be in the arena,” the light purple haired girl informed, cocking her head towards her teacher. "Right, Miss Lili?" "Right you are, but, try to be a little friendlier, okay?" the dark purple haired teacher concurred, but requested for the girl to act a little kinder towards her classmates. "Although she's right, you should've been listening while I was speaking," Miss Lili scolded, turning to face Ashley. "Now without further delay, let's go to the arena. Our time is limited." The teacher lead her class over to the arena, which was quite a bit away from the buildings, arriving at the entrance. "Here we are!" she announced. "Right, from here, we're going to split. Akeno and Zed, you two go through that door over there. Our school's combat teacher will be waiting inside, he'll give you further instructions." Miss Lili then turned around, pointing at the several staircases, "As for the rest of us, we’ll take these flight of stairs, they'll lead to the seating area." she informed. "Find a seat while we wait for the two participants to get ready." Zed took a deep breath and then nodded, walking through the doors that Miss Lili had gestured towards earlier. Once inside, there was a passage, which branched out into two individual passages, following the round design of the arena. Zed walked down the path up until it split. "Where do we go from here?" he asked the other, nervously. "You come with me," a deep voice said, coming from behind. Zed's eyes widened, he was stunned. The boy didn't even have time to turn around to see who it was, as a dark skinned man, with long silver hair and blue tribal markings walked between him and Akeno. Zed's body trembled as he passed. Even though the man wasn't letting out his aura, his immense power could still be felt. He yelped when Roxanna grabbed his wrist and started half dragging him along with the rest of the class. He was glad she wasn't shy; that just made it easier to be her friend. He waved at Cate and exlaimed, "I'd wait, but I'm being dragged! Catch you on the flip side!" Tristan and Roxanna followed the rest of the class until they reached another room and were told to follow one of the flights of stairs. She seemed nice. Cheerful. Maybe she would be a good roommate, like Taryn had thought. She didn't want to ask a bunch of interview style questions, but she couldn't think of a different way to get to know Cate in the short time before they got to the arena. "So, what class are you?" she asked. Cate didn't look like a fighter or a tank, but Taryn didn't want to assume something wrong. "What sort of stuff do you like to do?" "Well I'm a support, so I'll be helping out with healing and stuff like that on the battlefeild. But outside of blazing I enjoy walking movies and reading fanasty books! But most of all I really like playing with my mouse, Chester! He's so cute, I'll have to show you to him later. And friends are awesome too!" She spoke, pretty much bought Cingular up and down while she answered them. Aviella waited quietly with her hands clasped on her lap when Mrs. Lili announced two names, Zed and Akeno. The silver haired girl tilted her head upwards to see who the two competitors were. This will be a good chance to form strategies against these two competitors, Aviella thought to herself as Mrs. Lili announced where the match shall take place, when the bird girl's useless pet spoke out. Narrowing her eyes, Aviella kept silent as the teacher had to repeat herself before the class began to make their way towards the arena. It was quite far, and when Aviella peeked into one of the classrooms, she caught glimpse of Kavion sitting next to a rather attractive male student talking to her brother. She was tempted to quietly call out to him, but that would be uncourteous, so she continued to face forwards and walk along with her class. After a decently long walk, Aviella arrived at the academy's arena. Although it looked grand and beautiful, Aviella preferred training in a remote, secluded area where she could find peace within solitude, unbothered by the shadows of this world. She took a seat alone, distancing herself a bit from the class and slid her notepad out of her pocket, resting it against her thigh and smoothing her dress. "Ah yes, I have an older sister too, her name is Aviella and is in Class A-1. I would like to get into that class because her temper is controlled easier when I am with her." Kavion replied with a smile. "Interesting, mine is usually the one to keep my temper in control," Icielis responded quietly. "What's your sister's name?" Kavion questioned. "Zynelia Delavegne." Icielis replied quickly. "Do you think that the Headmistress would let you switch out?" the boy asked. "I'd really like to. Do you think that we'd see each other again?" Kavion said worriedly. "Of course, we should have plenty of free time to hang out." Icielis replied, smiling brightly. "Alright then, here goes nothing." Kavion said, raising his hand to get permission to speak to the Headmistress. Kavion hurried down the hallways and found the Headmistress exiting the auditorium, just finishing the class announcements. The silver haired boy immediately bowed down politely before asking to switch into Class A-1. "Sorry to suddenly approach you out of nowhere Mistress. My older sister, Aviella Yunakefsky is in Class A-1 and recently, she has been suffering from an ill temperament from personal matters. I humbly ask to be transferred into the class so that I will be able to take care of her." Kavion explained politely, his hopes of showing everyone that Aviella is not as hostile as she appears beaming through his heart. "Tank," Taryn answered. "I guess I don't do much when it comes to healing people and stuff." She could do, like, basic first aid, but that was about it and helped pretty much nobody during a battle. "Free time? I dunno, I like crafts and my ukulele, and stuff like that." Cate seemed like a good choice. Surely there were many stuck-up and obnoxious people here, but she seemed so likeable. Taryn felt like they would probably get aling well, even in the same room together for an extended period of time. "Hey, do you want to be roommates?" Taryn asked, realizing a moment later that it was pretty blunt. "I'd wait, but I'm being dragged! Catch you on the flip side!" Tristan exclaimed as I dragged him out of the room. I giggled slightly. We walked to the arena where they took a flight of stairs up to a fast seating area. They took seats with a very good view of the arena and saved a spot for Cate. "Hey um Tristan... I know this is weird and all but would you like to be my roommate?" I blushed a little embarrassed about the situation. Once they'd arrived at the arena, Miss Lili gave the class instructions on where to head to next. "As for the rest of us, we’ll take these flight of stairs, they'll lead to the seating area," she informed. "Find a seat while we wait for the two participants to get ready." Amy followed the staircase up to the seating area, amazed at the sheer size of the arena. Just beside the staircase was a poster, which claimed that there was a total of 90,000 seats. "I guess that's to be expected, considering how many people come to watch the annual games," Amy muttered. "I remember that I came to watch once, but that was a long time ago when I was about five." The pink haired girl walked over to the front row seats and sat down. I honestly don't know who to root for, since I don't know either of the two very well. Guess I'll just have to cheer them both on, Amy decided, smiling softly. Akeno followed Zed through the long and narrow hallway, which split into two different routes at the end of it. "Where do we go from here?" Zed asked with a nervous look on his face. Akeno sighed, "How should I know? I'm just as new here-" she answered, pausing in the middle of her sentence when she felt the sudden presence of someone powerful behind them. She quickly twisted around to see a dark skinned man, with long, wild, silver hair. Zed was just as shocked but his reaction to the tremendous amount of power the man was emitting was far less subtle. "You come with me," the silver haired man ordered. Akeno narrowed her eyes, before following after the man. I listened as Taryn told her that she was a tank. Cate took a good look at her. She had never seen a tank before. She seemed really nice. And she played an ukulele? How cool! "Hey, do you want to be roommates?" Taryn asked out of the blue. Cate looked forward for a second. Taryn as a roommate! How cool! "I'd love to!" She asked, bouncing spamck in her direction, smiling. "W-What?" He was startled by the fact that Roxanne had just asked him to be her roommate even after he tripped over her. He was too stunned to answer right away, but then remembered that not answering is rude and she might think he didn't want anything to do with her. That wasn't anywhere near being true, though, even though he just met her she seemed really cool. Before he realized that he was blushing he blurted out, "Yes! "and took a seat. "I'd love that!" Tristan felt his face burn. That had been a little too forward. Now he wished Cate would hurry up and get back so he could change the subject. He internally face palmed and looked away from Roxanne so she couldn't see that his face was almost as bright as his hair. Tristan seemed hesitant to answer and I was now starting to get really embarrassed. What if he said no? How awkward that would be! So it was just a question no need to get awkward about it! It was fine if he said no it was just a question. "Yes! I'd love that!" He blurted. He'd love to? "Um.. great!" I say slightly hesitant. "Btw what is your role? And your weapon? And where are you from? Do you have any hobbies?" I was curious to see if he was open enough to tell me these things. "Oh, uh..." For a moment Tristan forgot his role, but quickly remembered. "I'm a Sharpshooter!" he replied, taking his bow out of it's protective case. "Here's my baby. His name's Kevin." He looked at his bow, Kevin, fondly and held it up for Roxanne to see. "Also, I came from Naswouria. What's your role and country?" Aviella watched as one of the sharpshooters in the class, Roxanne took the other sharpshooter’s, Tristan’s hand and tugged on him playfully. To much of Aviella’s surprise, Roxanne then asked Tristan to become her roommate. How old is he? Looks 15, 16? That girl better know how uncivilized adolescent boys can act. Romance is…difficult, Aviella thought to herself quietly, jotting a possible relationship between the two as something that might occur in the future. What’s even better if they’re forced to fight each other, Aviella thought with a devious smile creeping across her face. Her mind began to wander to who the boy sitting next to Kavion was, for he looked powerful and dressed extravagantly. Was he from Xiomara, her mother nation? There is so much to find out about this foreign place. Kavion hurried back to his previous class, A-2 and whistled quietly, calling Icielis while the teacher shuffled papers at the front desk. The lean pastel purple haired boy quietly got up from his desk and met Kavion outside the classroom. “How did it go?” Icielis asked quietly. “Great, I’m going to be moved to A-1’s roster soon. I know that this is only the first day that we’ve met each other, but will we still keep in touch? You’re my first friend here after all,” Kavion replied with a nervous smile. “Well, there is the dorms which have to be shared,” Iceilis suggested. “Sorry, but I originally transferred to A-1 to take care of my sister’s mental condition. I think it’ll be best if I room with her until she actually makes some friends who aren’t afraid of her or she recovers,” Kavion responded, sounding defeated. “I don’t want to stick my nose into places where it doesn’t belong, but why does your sister act like this?” Icielis questioned. “It’s a bit private, but I’ll say it quickly. My sister and I used to live in a large estate with maids and housekeepers, and one of them fell in love with my dad, became jealous, and tried to decapitate my mum. Aviella saw that the maid had feelings for my dad, so the night the maid planned to cut off my mum’s head, she ki.lled the maid herself. Big sis used to love everybody, but now she’s grown secluded and hostile. When our parents found out, they banished her for 5 years and I went with her. We found a taekwondo teacher, Master Yerii who took us in and trained us so well that Aviella did’t want to go back home, even after 5 years because she knew our parents still hated her. She won’t let anybody get close to her except for me and Master Yerii,” Kavion explained as quickly as he could, hanging his head low, holding back tears. “Kavion…if it was something as serious as that, you did’t need to tell me…” Icielis whispered, pulling the silver haired boy hanging his head into an embrace. I’m hurt too, Icielis thought to himself, patting Kavion on the back gently. “I need to go find Aviella at the arena, she’s supposed to be there,” Kavion said, lifting his head up. “I’ll go with you. I don’t mind missing the first day when all they do is introduce themselves,” Icielis offered, smiling warmly. “Alright, let’s go,” Kavion said, walking down the hallway with Icielis. The two boys wandered around the academy for a while before they found the arena. When Kavion peeked through the entrance, he could spot a group of students sitting on the bleacher, and when he squinted, he could see that the one figure sitting alone was indeed, Aviella. “There she is, sitting all alone.” Kavion pointed out. Icielis nodded. Kavion took a deep breath before walking along the rounded pavement of the arena and making his way up to the level where Aviella and her class were sitting. Icielis followed quietly behind his first friend, walking past the rest of the students maintaining his self composure from the glances or looks he might receive. Aviella perked up as she saw Kavion, but more importantly noticed that there was a strange pastel purple haired boy following him. The silver haired girl stood up and without thinking, summoned the Virtious Contract, flipping it in her hand skillfully and pointing the tip to the boy’s neck. “Who are you, and why are you following my brother? !” Aviella hissed, recognizing him as the boy Kavion was speaking to before while she passed his classroom. “NO WAIT! Calm down Aviella, he’s my friend, he offered to come with me here! Don’t hurt him…please….” Kavion pleaded, putting a firm hand on his sister’s shoulder. Icielis didn’t flinch the slightest bit when Kavion’s sister pointed her blade to his neck. This girl’s heart is crying out for somebody to love her, Icielis thought to himself, his heart aching. Aviella could only remain motionless as this new boy’s piercing blue eyes stared right into her, and she could only stare back from behind the black cloth. Slowly, she lowered the blade and took her seat again. “His name is Icielis, Icielis Delavegne,” Kavion introduced his friend. “I apologize for our…not so pleasant first meeting, Icielis. I am Aviella Yunakefsky, Kavion’s older sister,” Aviella replied back hesitantly. Now I’ve made a scene and everybody can narrow me down to either an assassin or fighter, Aviella thought, frowning slightly. “Right you are, but, try to be a little friendlier, okay?” the Miss Lili said before going on to chiding Ashley. “Now without further delay, let's go to the arena. Our time is limited.” the dark purple haired teacher announced and led the way out of the classroom. Lucien cocked his head towards the teacher when he heard her call for the class to go. He walked after the teacher alongside Zed while the scythe wielder followed with the rest of the students to the arena without causing any more disturbances, straying more towards the back of the group as they went, catching on to others’ conversation. She went into the stands and took a seat in the front row, watching the two selected combatants walk into the arena with a tough looking man. Scary, she thought at the sight of the man. I hope he’s not as frightening as Guren…and that I don’t have to see him often. Lucien selected his seat in the front row too, but was careful to sit far from Shinoa. He found himself alone but he didn’t mind it. She figured he just accepted being roommates with the girl as roommates was the topic of basically everyone for a while. Another pervert? The pastel purple haired thought and sighed, looking back at the arena to see if the two started fighting yet. Now that I thought about it, I still haven’t figured out roommates yet. Hm...there’s blindfolded girl Aviella, the princess, and several others that didn’t find any roommates yet unless I missed it. Who’d be the best to room with? She pondered and looked around. Two boys not from her class, one also had a blindfold and was most likely a sibling of Aviella, walked into the stands and approached the blindfolded girl which Shinoa decided to watch. To her surprise, the silver-white haired girl stood up and summoned a sword to point at the other boy’s neck. At that moment, the scythe wielder decided she didn’t want to be threatened at swordpoint by someone every night and crossed Aviella off her mental possible-roommate list. She continued to scan the seats for someone else. A little ways from her was a pink haired girl who had been fairly quiet so far. She seemed to give the goody two shoes vibe. Shinoa decided to quickly see what kind of girl she was. She got up and walked over to the girl and sat down next to her. He told me that he was a sharpshooter and took out a case. When Tristan opened it there was a bow. The boy explained that this was Kevin his weapon. I laughed. He names his bow! How cute! Tristan was also from Naswouria which I had never been to. "You're from Naswouria!? That's so cool! I've only ever seen pictures of it! It must be beautiful there. I'm from Kizita and I'm a sharpshooter too so we could learn techniques from each other." I opened my leather jacket and showed him the ring where my black shining knives hang along with other stuff such as meds for my migraine bandages my wallet and my phone all hidden well in the pockets. "Those are my weapons. My Father made them for me. He also taught me a lot most of what I know." Suddenly the odd girl with the black cloth over her eyes, Aviella made a scene by pointing he sword at the neck of a purple haired boy. Who would randomly do that. Not only are you the center of attention but she seemed to make it clear that she was ready to kill and that could very well get her in trouble. I was able to get in trouble for such a thing back a couple years ago. I had bad reputation there ever since. I couldn't help it but I seemed to like her. She was like one of those back stabbing friends in the movies or at least she seemed like that. I looked back and studied Tristan's facial details. He had deep green eyes and small scars that covered his face. His hair was dark red and very messy. And then I suddenly realized I had asked a boy to be my roommate. I'm so stupid! I didn't even think. Well you never do! a small part of me scowled. The only thing I'd thought about was that it would be weird to ask someone who you literally just met to be your roommate for the next year. Not that it would make a even the slightest difference if I asked a boy or a girl noooo... Welp I can't back out now. "When is this battle gonna start? And where's Cate and that friend of hers?" I sigh internally why didn't I just ask her if she'd be my roommate? Aviella sat cross legged silently, with her mind running about what had just occurred. Everyone looked at me as if I were a monster. Why should I apologize for being a monster when nobody apologized to me for making me one, Aviella thought, half in melancholy and half angrily. Mum and dad never wanted me, so they told me to get out when I was trying to protect them. This world is full of judgmental and cruel imbeciles, they probably wished me de.ad, Aviella thought, her lip beginning to quiver. Kavion immediately noticed that Aviella’s mental illness was working her up again, and was about to rush to her aid, when he felt a firm grip on his arm. He turned his head and saw Icielis looking at him. "Your sister needs an outsider to help her. Her heart can never heal if a person who knows what she’s gone through always comes to her aid when she’s mentally unstable. Allow me…” Icielis requested in whisper. Kavion nodded hesitantly, got up and moved to a farther seat, closer to where Class A-1 was clustered and away from Icielis and Aviella. He was just so utterly surprised that his friend picked up on Aviella’s instability as quickly as he did, if not quicker. Icielis is special, I admire his bravery, Kavion thought with a sad smile. Icielis scooted closer to Aviella, who was looking down, not paying attention to what her other classmates were doing. Through her peripheral vision, she saw the pastel purple haired boy move closer to her. “Do you want me to apologize to you agai-“ Aviella began to speak, her voice shaking as much as she was shivering. Before she was able to finish her sentence, Icielis grabbed the silver haired girl’s shoulders, pulling her closer to him and wrapping his arms around her. As Aviella’s head fell forwards, the knot on the back of her head holding the black cloth together came loose and eventually fell off, floating like a feather to the floor. Aviella, now without her black cloth, Kavion could see that she was wide eyed, her grey-blue eyes staring at the ground, her head rested against Icielis’ shoulder. “Why…are you doing this? I could’ve hurt you…” Aviella said, her voice croaking weakly. “Take it easy Aviella. Calm down and stay like this for a little longer. Before I came here, nobody liked who I was. I want to find a new life here, I think all of us want a new life somehow” Icielis said, his voice reaching the girl in his arms. "Cool cool," Taryn said, smiling back. "Cool beans." Well, that sounded dumb. So much for making good first impressions. "My friends are saving me a spot up in the arena seating. You could come sit with us, if you like?" Taryn nodded towards the arena. Maybe Cate's other friends had already wanted her to sit with them, but it was worth a shot. Ashley glanced over and spotted Tayrn right away. "TAYRN! OVER HERE!" She called, waving to get the girl's attention as Heru cawed. She hoped Tayrn saw her. The girl with her was probably her new roomate. Hopefully she didn't have a problem with birds of prey like falcons. Or assassins from the Kageryu clan. The main clan rival they had was with the Flame Raven clan. Their warriors had no form of honor code and let conflict run rife among themselves - which only made them more dangerous. They only alliances they formed was when they needed to work together on assignments. At least the Kageryu clan had a sense of honor and duty. They NEVER killed unless they deemed it absolutely necessary. Ashley preferred her Clan's more peaceful ways of forming alliances to gain strength and handle larger missions. That's why she was a naturally friendly person. 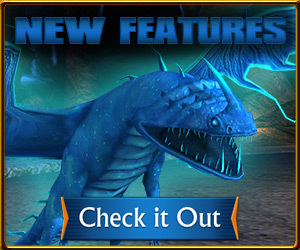 That made it easier for her to make new friends and gain new clients for her clan. She hoped Ingrid would consider her offer of being spy/sparring partner from her letter of introduction that she had Heru delivered. "Cool cool," Taryn said, smiling back at her. "Cool beans. My friends are saving me a spot up in the arena seating. You could come sit with us, if you like?" Cate was about to answer when anoanother voice yelled, "HEY TARYN! OVER HERE!" Cate turned to look at the source of the noise and spotted two girls sitting over in the arena. One had a pretty bird perched on her shoulder while the other looked nice. She turned back to Taryn. "Actually my friends are saving a spot for me. I'm gonna go sit by them," she said, not wanting to hurt Taryn's feelings. "We can meet up later, okay?" "Bye!" Cate said, turturning towards the arena. She looked around and was able to see Tristan's red red out of the coward and she began making her way towards them. Once there, she sat down on the other side of Roxanne. "Hi!" She said. "Sorry I'm late." "Okay, sounds good," Taryn replied, smiling when she heard Ashely calling her name. "I'll see you later!" She watch Cate turn to head up to her other friends, then turned to find her way to hers. "Thanks for saving my seat," she said, settling down with the two of them and gently stroking Heru as a greeting. "Do you know how long it is until they start? Is that the training master down there?" The man down in the arena next to the two students certainly looked intimidating enough to teach the young warriors, but she certainly hoped that he actually wasn't because she knew she'd have to be taught by him as well. Ashley smiled as Heru purred under Tayrn's fingers. The bird really did seem to like Banasuran girls she made friends with. She was glad to have met them even though she barely knew them. If Heru liked them they were obviously good people. He could spot liars and cheats a mile off. Or further depending on if he were flying or not. "No problem, we're just waiting on Mavena anyways. I'm honestly not sure about when we start but I'm sure that teacher scared the crud out of me. Even Heru was spooked by him and the only people that spooks are me and my parents. I don't know his name but I do NOT want to cross him. He's probably from Kanouraska or something like that judging by those tribal tattoos." The Echarian girl mused as she took the blue rubber band from her braid and shook it out before removing her crescent moon comb to redo the braid and put it back in. "Hey Cate!" The girl sat down next to me and I was quite relieved to have her back. "Hi" the blonde said "sorry I'm late"
"It's fine! Tristan and I are roommates now." I tried to tell her that it was a mistake that I hadn't really thought about it by giving her a look but I was never really good at communication. Down in the arena there was a large intimidating man with silver hair and blue tribal markings. He seemed to be radiating power from him which only made him more intimidating. "See him down there?" I pointed at the man, "I bet with our luck he's one of our teachers." I said to my two friends, grumpily. "It's fine! Tristan and I are roommates now." Roxanne excused her, with the abrupt news following behind. Cate wanted to giggle at the thought of it, but held it in. "Thanks so cool! The other girl I ran into down there was Taryn. We decided to become roommates so that solves that problem," she said, though she felt that Roxanne wasn't listening. "See him down there?" Roxanne pointed at a man with silver hair and tribal markings. "I bet with our luck he's one of our teachers." Cate looked down at the man. That as a teacher? No thanks. "I think we should come up with a name for him before he tells us his real name. How about Friendly? Or maybe Happy?" Cate said jokingly. I laughed at Cates names suggestions for the grumpy looking guy I had pointed out. Friendly? Happy? "Oh, that's a good one!" Cate said, pointing her pointer finger mischievously at Roxanne's face. "But I think that we could use some back up on this. Tristan, what do you think? Fluffy unicorns or friendly?" Before the combat teacher took Zed and Akeno into the arena, he first gave the two a briefing on the rules and details. "First off, I'd like to introduce myself. 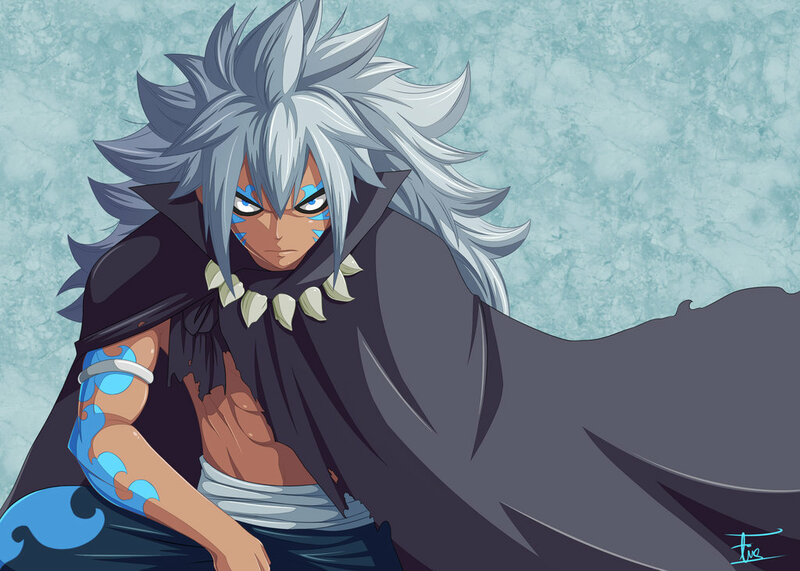 My name is Acnologia, a warrior from Banasura. I'm the Academy's combat teacher." The man began. "I'll give you a quick run through of the rules since Miss Lili told me about how you're short on time. The rules are simple, Rule 1) No stepping out of bounds, doing so will result in a loss. Rule 2) You're, strictly, only allowed to use your spiritual weapon and abilities, so basically, you can only utilize your own skill and ki to fight. Rule 3) The victor will be the person who either, has the most HP at the end of the time limit, based off of the individual's percentage health rather than total health, ((This assures that tanks aren't automatically advantaged.)) Or, the person who reduces their opponent's health to zero. And that's about all that's necessary for your little duel." With the rules explained, he lead the two through the vomitorium and into the arena, "There's just one more thing you should know about the arena, and Academy ground in general. The entire Academy is surrounded by a magic barrier, which negates anyone within it from suffering true damage from ki based attacks. However, during combat, it may feel like you're actually being harmed, though this is not the case. Once you're out of combat you'll feel normal again, as though you haven't even been scratched during the battle." Acnologia informed, walking towards the center of the ring, "Now, both of you, take your positions on either side of me and wait for me to give the signal to begin." Zed nodded and stood on the man's right side, preparing to unleash his ki the moment the battle beings. He wasn't sure what kind of fighter Akeno was but judging from her appearance, she was quite likely a fighter or perhaps an assassin; Her traditional robes were often worn by martial artists, primarily in Kizita. Ingrid entered the seating area and immediately began looking for a suitable place to sit. She didn't want to sit too close to the rest of her classmates since most of them seemed to be a little overzealous. Thus, she decided to take a seat right at the back, on the top row. Akeno and Zed hadn't arrived yet, so she decided to read the note she received from the Falcon whilst she waited. The princess unrolled it and read through what was written: It was a letter from one of her classmates, requesting to serve her as her personal spy. The sky blue haired girl sighed, spotting the same falcon perched on a girl's shoulder on one of the seats ahead. The letter must've been written by her. Although I appreciate the offer, I'm going to have to decline, Ingrid thought to herself. While her attention was still focused on the lower seats, she noticed the blindfolded girl point her sword at a boy, who she didn't recall being a part of Class 1-A. What does she think she's doing? Hang on, I know I've seen that girl somewhere before, but where? Ingrid mused. Her eyes then widened in shock when the boy pulled the white haired girl against himself, Hmm? Well, that escalated quickly. Just then Akeno and Zed appeared in the arena alongside and fierce looking man. The battle was about to begin. Taryn had left at some point to go talk to another girl. Whilst she wondered what they might of been doing, she didn't have long to consider it as the class started getting out of their seats to go to the arena. Slinging her backpack onto one shoulder, she followed after them, losing Ashley in the process. 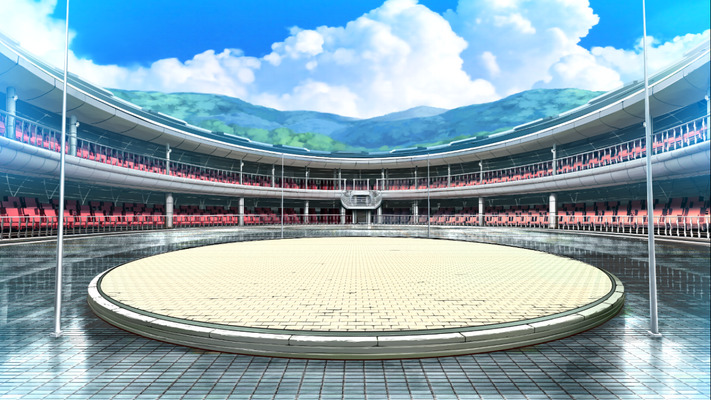 The arena was absolutely amazing, although she couldn't help but wonder where they would spar outside of it. After all, hadn't the teacher said this was a one-time thing? As she reached the seats, she looked around for where the others might of gotten to, before spotting Heru flying up. Noting his trajectory, she followed towards where she suspected he had taken off from and saw Ashley and Taryn. "Hey again! Can't believe I lost you guys already!" she said, sitting down in one of the spare seats. There are currently 33 users and 129 guests online.